"The bicycle is more of less the same great thing from a hundred years ago when it was first invented, but still there are so many details to spot." 1. First off tell the readers about yourself, where you come from etc. Hello. I was born in north Germany, but was raised in the southwest. Towards the end of the 1980’s I relocated to Basle city in Switzerland. Today I live in the French region of Alsace close to Basle and the Swiss border. Once I finished high school I received an education as a merchant and worked for several years in this field. When I relocated to Switzerland in the 80’s I became self-employed and together with my wife founded a bicycle messenger service in Basle. This was one of the first ever in Switzerland and later became one of the most successful. After 15 years of this I decided a change of pace was needed and sold the company. 2. When did you first get into cycling and is there a unique or funny story behind it? Since I first learned how to ride a bicycle when I was young I was never able to give it up, it became a deep passion from the very beginning and continued throughout the years. One of my first memories was when I had just inherited my first “real“ mens bicycle from my grandfather. I still did not have a full sense of control on the bike and and on the first ride, badly scratched up the side of a parked car. Shortly afterwards this bicycle was actually stolen out of the basement. Another fond cycling memory: together with some friends we had a winding high speed road bike ride down a steep Black Forest hill in Germany. As we arrived below at the first stop in a village the front wheel tubular made a burst with a loud bang. 3. Do you do all the work at Speedbicycles? The restoring? The photography? The design/web? Speedbicycles is a one-man-thing. Some good friends will help here and there in order to realise my ideas. Some jobs like paintwork or rechroming i have to give outside in the hands of specialists. 4. Do you follow strict guidelines and make sure everything is period correct? Do you ever re-paint and re-decal or do you keep it as original as possible? If ever possible I try for to keep condition and character of a bike as I find it. The out-of-the-manufacturer condition is not the most important matter for me. Changes and upgrades of the original owner do not always obstruct the view. Signs of use will give its uniqueness and and history to the bike. Most of the bikes in my workshop will be completely disassembled, cleaned up, serviced and checked and then assembled together again. Broken or really mismatched parts will be replaced by the newest and cleanest parts that are available. If there is the need of a complete restoration or build-up-from-frame the target is always a most harmonious result. 5. Do you limit yourself to certain era's or have particular models or manufacturers you lust after? No. When there is an offer for a vintage bike or somewhere one is for sale the decision for a purchase often is a matter of charisma and aesthetics. This will not always be the top-of-the-line bikes. I do not favor special brands, periods or regions. Also I do like modern bikes but only few of them. So the Speedbicycles web collection is not really a significant reference for last century road bike inventory. 6. Are you an avid cyclist and still ride today? Share with us a normal ride you do around where you live. I ride regularly in good weather. I avoid cycling while raining. I do not ride in winter or when its cold outside. I tried a trainer-roller once... I do prefer to ride solo but also like cycling with my wife or friends. Rides will last an hour or two mostly. I have the great fortune for to live in a great rural region with many small, plain or mountainous roads. There are several rounds to choose from. An ideal region for road cycling. 7. Do you ever ride or keep any of the restored bicycles? Yes, there are several bikes I will keep. For one, bikes in my size I will take out for a ride in many cases. Then there are some other bikes that I really like and pocket (some of the ones hanging in the shop). If my wife does like a bike to own she can keep it too of course. Its a special thing of interest for me to compare several bikes from different periods. 8. When a bike is finished does it normally get sold? Locally? Internationally? Principally all bikes will get into the Speedbicycles virtual web collection once I take photographs of them. Several will stay as part of the permanet Speedbicycles collection (hanging in the shop again). As space is limited some new entries will replace others. This collection is curated and only a small selection of what has been restored. Many bikes do get sold and Speedbicycles has clients all over the world. 9. What drives and inspires you to continue your work on vintage lightweights? The bicycle in its unique simplicity, function and directness. As a static sculpture or for use it is beautiful. The bicycle is more or less the same great thing from a hundred years ago when it was first invented but still there are so many details to spot. Also I enjoy working on the bikes, watching the process of pulling it from an unbeloved place or condition back to its old glory. 10. Plans for Speedbicycles in the future? I hope to present more bikes of beauty and interest. Some are already in the waiting queue of the workshop. Also there are several ideas that I will try to realize in the near future. I guess I have a passion for bicycles that will contitue to last and I am happy to share this with others. 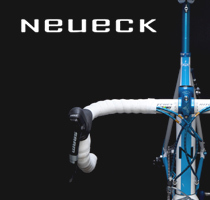 Thank you to Stefan for taking the time to show us more about what makes Speedbicycles tick! 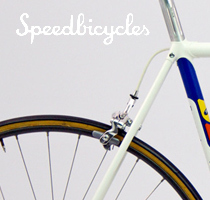 Take a look at the Speedbicycles here. All Photos ©Speedbicycles. All Rights Reserved. Posted on November 3, 2010 by Paul Isabella and filed under Interviews.